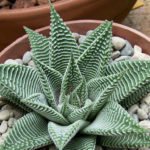 Haworthia limifolia var. 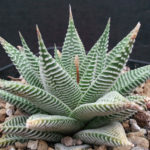 striata is similar to the normal form of Haworthia limifolia with all the deep, grooves and ridges, but the ridges in this plant are highlighted with a whitish coloring, making it one of the most ornamental of all the Haworthias. It offset easily. The caespitose rosette is up to 4 inches (10 cm) in diameter. 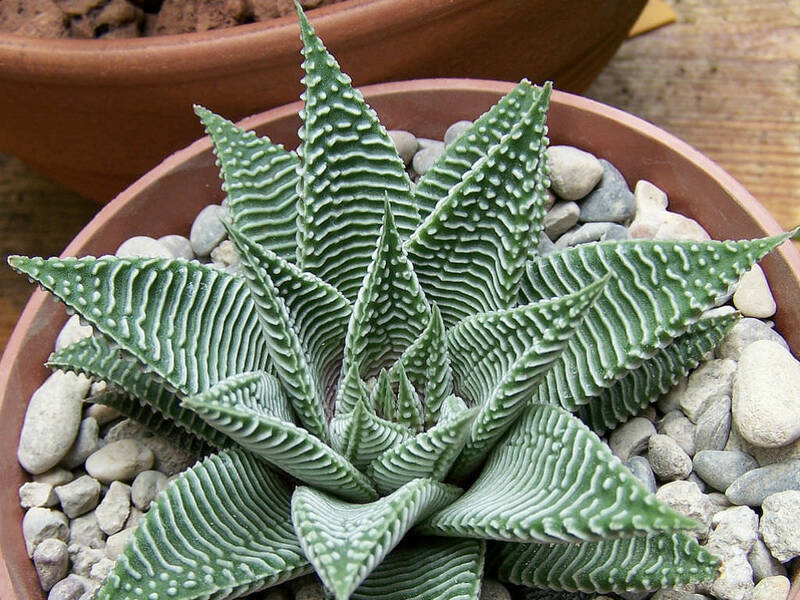 The white flowers with greenish veins are borne on a up to 14 inches (35 cm) tall inflorescence. 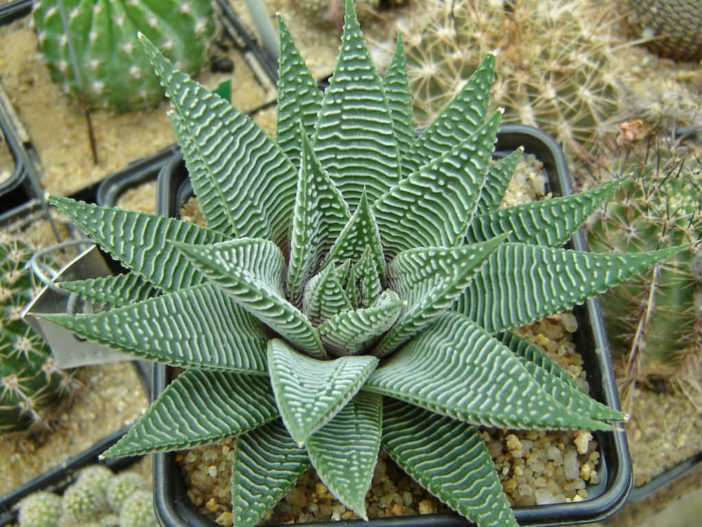 Haworthia limifolia var. 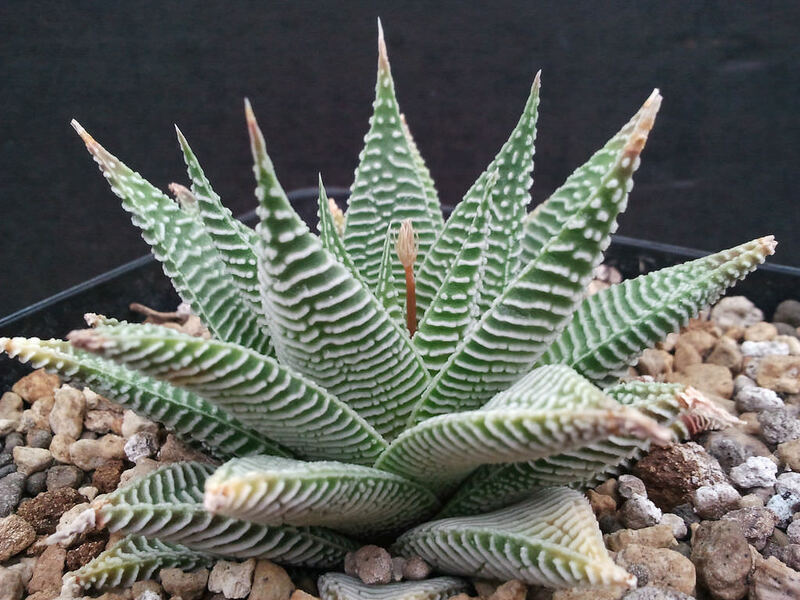 striata is native to southern Africa.